Match PreviewsAll you need to know before Friday's early kick-offThe Royals will have a travelling party of 2,000 following them to Ashton Gate on Saturday afternoon, with Lee Johnson's Play-Off hopefuls laying in wait in the West Country. AcademyYoungsters take part in team-building excursion in HammersmithWhen you're on a football pitch, you aren't just one person - you're part of a team that has to look after each other and work towards the same goal. InterviewsMidfielder looks ahead to lunchtime Ashton Gate battleAndy Rinomhota says the Royals aim to take the fight to Bristol City on Good Friday, with the promotion-chasers on home turf at Ashton Gate. Match ReportsRoyals dish out 5-0 triumph on the roadReading FC Women did a demolition job on the Women’s Super League’s bottom side Yeovil Town, running out 5-0 winners in Dorchester. Fixture NewsOliver Langford on duty at Ashton GateOliver Langford will take charge of our Good Friday meeting away at Bristol City. Club NewsSchedule to be shared on June 20thReading FC’s fixture list for the 2019-20 campaign will be released at 9am sharp on Thursday 20th June. Andy Rinomhota | "Bristol City will come out fighting"
InterviewsReading boss Gomes on the Ashton Gate match A quick-fire pair of games over Easter; first a visit to Bristol City on Good Friday, and then a home match with West Bromwich Albion on Easter Monday. But there’s only one thing on the mind of manager José Gomes. Club NewsSupporters grill Royals with in-depth one-on-one interviewsAt Reading Football Club, we aim engage with our supporters as often and in as many new ways as possible. And in recent weeks, we have opened the Hogwood gates to some of our most communicative fans! Club NewsNew Official Technical Partner join forces with Reading Football ClubReading Football Club are pleased to announce the appointment of new Official Technical Partner, Macron, who will become our new kit and training wear supplier from the start of the 2019-20 season. 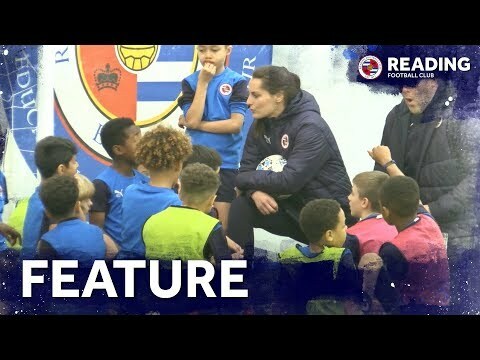 Reading FC Community TrustWinger visits Community Trust squad sessionRoyals winger Callum Harriott headed down to a training session with the Reading FC Deaf Team – and days later, they wrapped up EDF Southern League title with a 4-0 win against St Albans City. Club NewsYoung Royals can work pitchside at Madejski Stadium next seasonWould you like to work on the Madejski Stadium pitch for the 2019-20 Season? Fixture NewsBrighton fixture brought forward to 1pmReading FC Women return to Madejski Stadium this weekend to host Brighton & Hove Albion – and the kick-off time has been brought forward to 1pm on Saturday 20th April. AcademyU8 signing day takes place at Madejski StadiumSaturday saw the induction of the latest group of young Royals, who will become players in our Category One Academy. CommercialLocal businesses making acquaintance at Madejski StadiumMadejski Stadium is set to welcome over 70 guests to the inaugural Network Royals Business Club event, as forward-thinking businesses from Berkshire and afar are set to head to RG2 for a networking lunch on Friday 26th April. Ticket NewsAshton Gate match all-ticket for Royals supportersAfter selling out an initial allocation of tickets for Reading's trip to Bristol City on Friday, we have received an extra amount of tickets for this Good Friday clash. Fixture NewsAction shots from Adams Park as Women's side take West Ham all the wayIt was a dominant performance from Reading FC Women from start to finish, but a penalty shootout saw them denied a Wembley final at the last moment by West Ham United on Sunday. 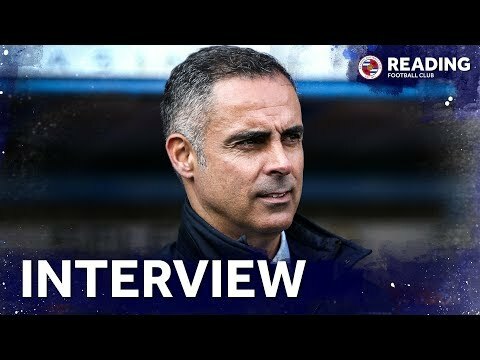 InterviewsRoyals boss delighted with fan backing and connection with his playersIn times of trouble, you get to know who your friends are. And Royals supporters have come together and risen to the challenge to support the players through a difficult period on the pitch. It's not over, there are 'four more battles' to fight and we will need you all of the way - at home and on the road. InterviewsDefender on three important points earned against BrentfordTwo early goals, and an impressive defensive display to follow, earned Reading a 2-1 win and three points against Brentford on Saturday. A step closer to safety. Match ReportsKelly Chambers' side denied a place in the Women's FA Cup Final in the harshest manner Reading FC Women were cruelly denied a trip to Wembley and a place in the Women's FA Cup Final in sudden death of a penalty shootout. 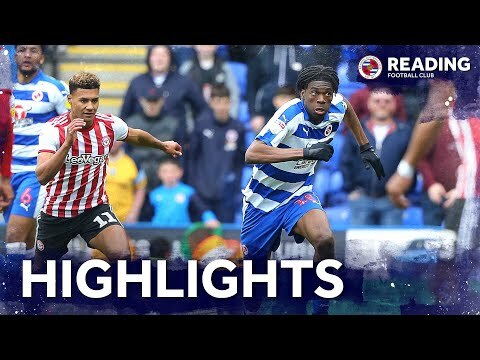 Fixture NewsSign in and watch on iFollowHighlights of Reading's vital 2-1 win over Brentford are available to view now on iFollow. InterviewsMéïté on Brentford brace and three pointsReading's top scorer, Yakou Méïté was delighted to add two more goals to his tally for the season - handing the Royals three more points in the process at home to Brentford. 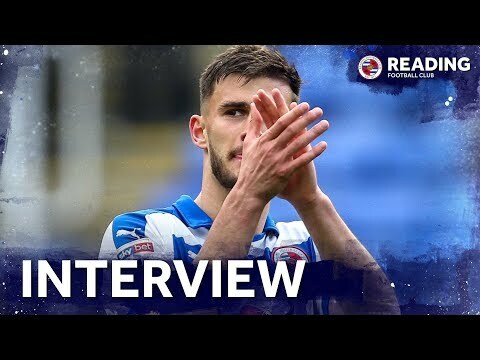 Matt Miazga | "We'll continue to build"
José | "We will not relax"
InterviewsRoyals boss refuses to lose focus despite gutsy win over Brentford"I am happy for the three points. Although I am not happy for the way that we had to suffer in the final minutes, but this is the Championship and this can happen," Gomes began his post-match reflections. Match ReportsReport from victory in RG2Yakou Méïté’s double in the first 15 minutes of match was enough to earn the Royals a valuable three points on home turf, as Brentford were vanquished 2-1 at Madejski Stadium. Club NewsThis afternoon's victorious meeting with the Bees in all its gloryA first half brace from Yakou Meite proved the difference between Reading and Brentford this afternoon, the Royals holding on for a vital victory against their near neighbours. Fixture NewsOne change from late draw at NorwichNélson Oliveira returns to the Reading line-up as the Royals get set to take on Brentford, in the only change from a midweek draw at Norwich. Match ReportsFrantic second half sees Reading take three pointsA Danny Loader double in the last five minutes saw Reading's Under-23s turn the match around against Aston Villa, winning 3-2 at Adams Park. Match PreviewsRoyals face off against Hammers at Adams ParkQuite simply, Sunday will be one of the biggest days in the history of Reading FC Women. Beat West Ham, and a trip to Wembley and a chance at a trophy will be theirs. Fixture NewsYour essential pre-match reading for Brentford clashAs always, there is plenty to read and digest in your issue of The Royal this weekend, as Reading face Brentford at Madejski Stadium. Fixture NewsStephen Martin taking charge this weekendStephen Martin will be making his third visit to Madejski Stadium this season, as the Royals get set to take on Brentford this weekend. 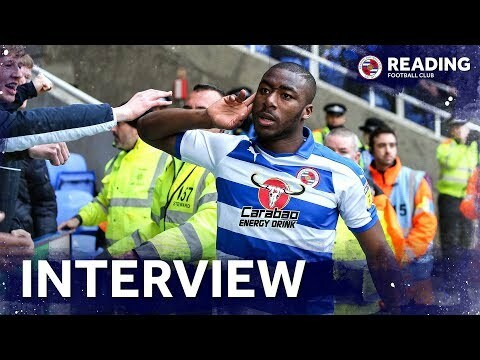 InterviewsMidfielder on Bees testReading’s recent upturn in form has owed a lot to improved home form at Madejski Stadium – and our loyal supporters will attest that the atmosphere has been nothing short of fantastic in RG2 in recent months. Match PreviewsBees next up for Royals at Madejski StadiumAfter the highs and lows everyone experienced at Carrow Road on Wednesday night, there is barely time to get your breath back before the Royals go again on Saturday. 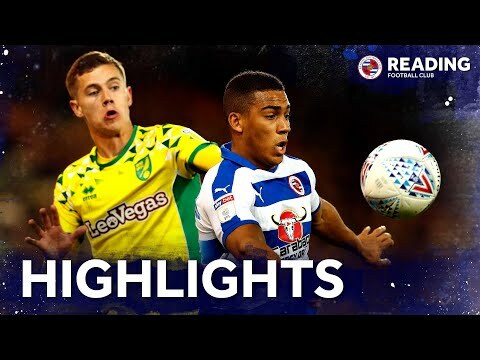 Fixture News10 minutes of highlights from Carrow RoadAn emotional affair in Norwich ended with the spoils shared; Andy Rinomhota rescued a point in the final minute of added time to give Reading a well-earned 2-2 draw. 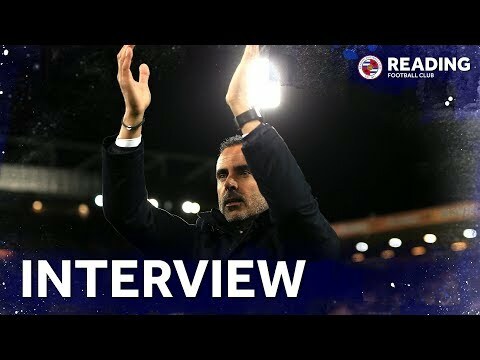 InterviewsRoyals boss calls for focus ahead of another huge game on Saturday…In the most dramatic of circumstances, Reading sealed a more than deserved point against league-leading Norwich City on Wednesday evening thanks to an inspired finish from Andy Rinomhota in the 97th minute. "I'm not a regular finisher... but thankfully it's flown in"
InterviewsAndy Rinomhota on Norwich draw and first senior goalAndy Rinomhota described the contrasting feelings experienced on Wednesday night, as his last-ditch strike earned Reading a 2-2 draw at league leaders, Norwich City. InterviewsDefender on West Ham challenge on SundayJo Potter knows a bit about what it takes to be successful in the SSE Women’s FA Cup. A finalist in bygone years with Arsenal, Charlton and Birmingham City – and a winner with the Gunners in 2004 and the Blues in 2012 – she has a chance to make it to a fourth Final when Reading play West Ham United on Sunday. 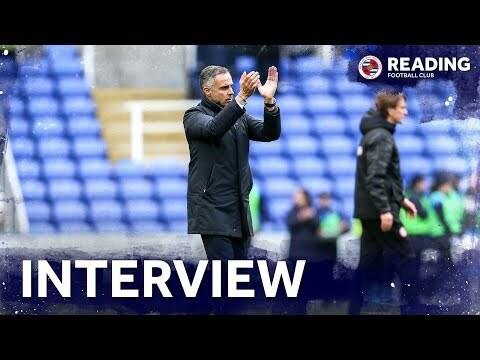 Club NewsRoyals boss up for March awardReading manager, José Gomes has been nominated for the Sky Bet Championship Manager of the Month award for March. InterviewsManager on breathless affair in NorfolkA rollercoaster of a game which ended honours even at Carrow Road; Andy Rinomhota was the man of the hour as he notched his first pro goal to salvage a battling point. Fixture NewsThe best of the action shots from dramatic encounter in NorwichIn a match packed with late action, Reading came away with a hard-fought point against Norwich City on Wednesday night. Match ReportsRinomhota fires Reading level with last kick of game at Carrow RoadNorwich City struck twice late on to overturn a deficit against the Royals, but Andy Rinomhota struck with the last kick of the game to give Reading a 2-2 draw against the league leaders.